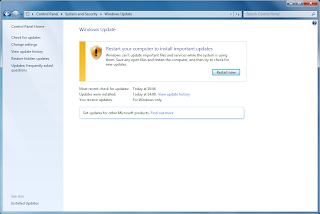 Since very long time, I’ve been hearing so many praises about Microsoft Windows 7. 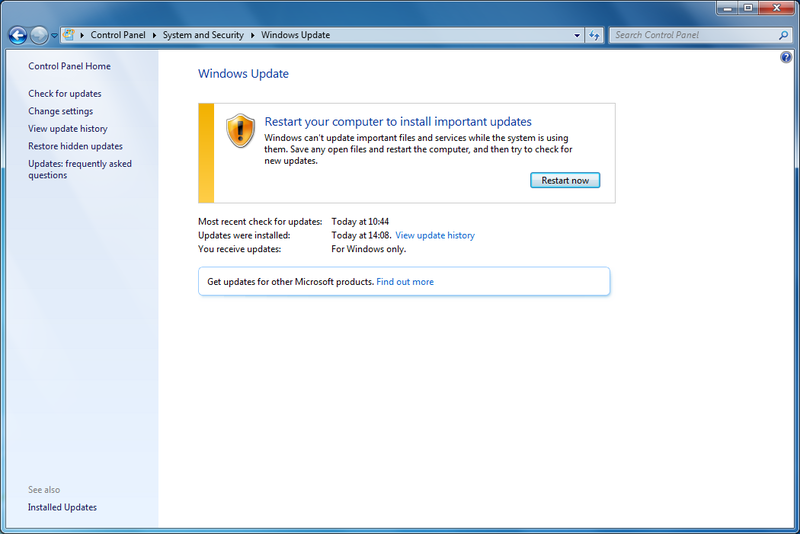 So, at-last during last weekend made up my mind to give Windows 7 a shot. 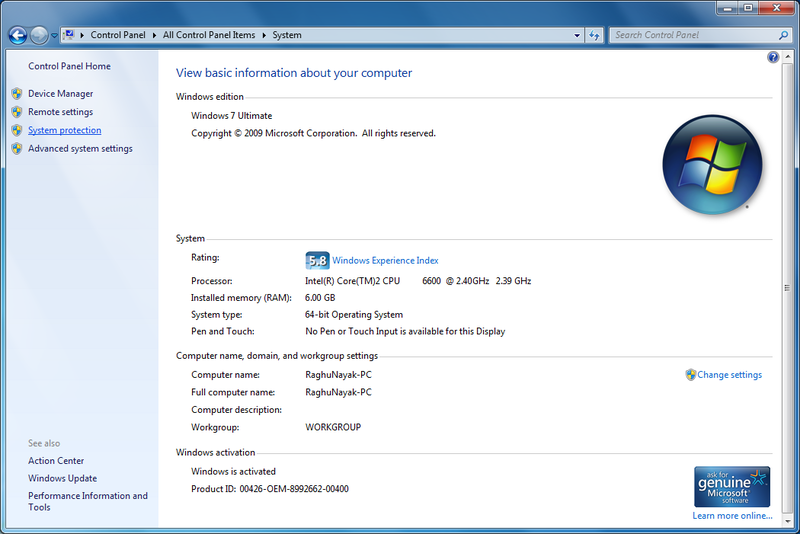 Another motivation behind this was to test the 64 bit capability of Windows 7. Even though Windows 7 predecessors were available in 64 bit versions, they were considered as problematic by many people (including me!). So I wanted to check if 64 bit user experience is greatly improved compared to Windows 7 predecessors. So, to check all this things, I got myself one copy of Windows 7 Ultimate DVD. Installation: The installation process was pretty simple and straight forward and it took about 30 minutes to install Windows 7 in my System, which is not bad at-all. Once the installation was over I was readily greeted with all new Windows 7 Aero theme. Windows 7 desktop looked fresh and neat. 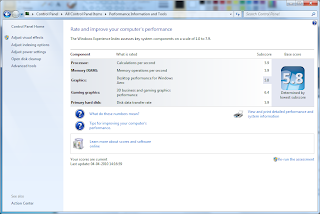 Performance: I feel that system performance is better compared to Windows XP professional 32 bit version for various day to day activities. This may has something to do with 64 bit operation system and/or availability of additional main memory to Windows 7 which XP can’t use. The boot time: The windows 7 boots up within just few seconds. 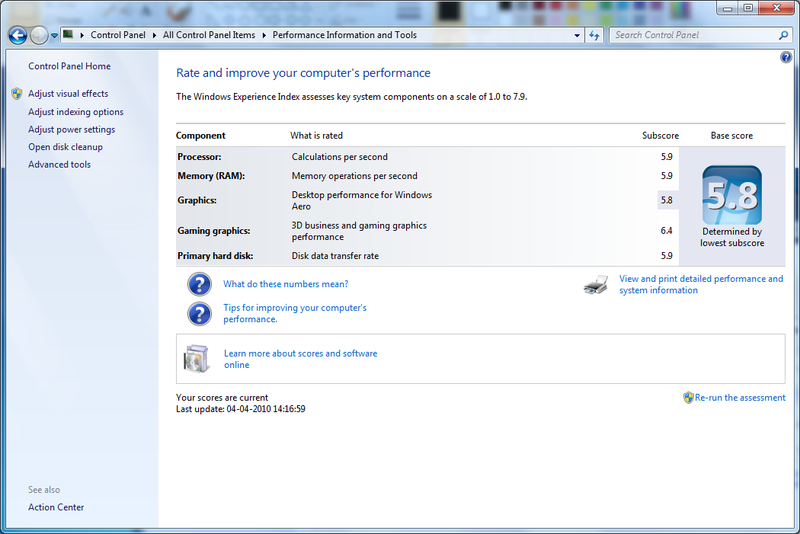 Really good improvement compared to Windows Vista. The improved task bar: Simply love it! It’s the best of all the changes done in Windows 7. After spending couple of hours with new taskbar, I found myself more productive than with previous versions of task-bar or with Mac OS X dock! The Aero peek added the perfect spice to it! Love them. Hats off to Microsoft for thinking differently and coming with such a nice solution (Even though it closely resembles Mac OS X dock, I feel Windows 7 taskbar is way better than Mac OS X dock). I think, as time progresses all the Operating system start copying from each other, thereby reducing the actual difference between Operating system. Windows Aero: Really liked it. I feel that the Windows Aero themes look much better now compared to Windows Vista. This may be because of little of polishing from Microsoft or better graphics driver from GPU vendor (which is AMD in my case). Windows Media Player: If you have more than one playlist in Media Player and you switch between them while a song is playing, Media Player would automatically remember the song and current play position for the given playlist and automatically restore the song playback once you switch back that playlist. 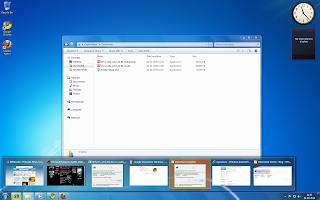 Windows Explorer: It’s a nice experience to use new Windows explorer. It makes file browsing/copying such a pleasant task. Only thing I miss is the tabbed interface for file browsing. I really don’t want to fill my desktop with tens of explorer Windows. I hope that Microsoft would implement this at-least in next version of Windows explorer. 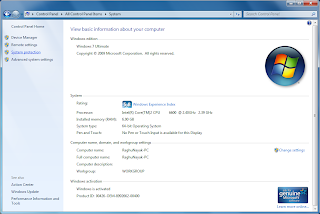 Space requirements: Windows 7 - 64 bit version requires minimum 20 GB of free hard disk space. This is way too much. After the fresh installation, my 24 GB hard disk partition had only around 4 GB of free space. I think Microsoft can do much better here, like what Apple did with Snow Leopard. Partition editor: It’s still crap and error prone. Use paragon partition magic (http://www.paragon-software.com/) instead! New start menu: I agree that it’s greatly improved since its introduction in Windows Vista. But I still like old XP start menu. Internet Explorer 8: Slow and just plain slow. Switching to Firefox/Google chrome right after the installation is greatly recommended. No/Hidden Menu: For most of the applications menu bar is completely replaced with ribbon (eg: MS Paint) and for some its hidden and is shown when you press ‘alt’ key. This is really inconsistent. Menu is one of oldest and greatest GUI concept and I really don’t like the way Microsoft is playing with it! Time Machine: There is no application which comes close to Apple Time Machine. Even though there is old backup & restore application, it’s not easy to use and intuitive as Time Machine. Unix Shell: I am a unix man, and I can’t live without shell. I guess this is the reason why I feel right in home with Mac OS X or Linux. 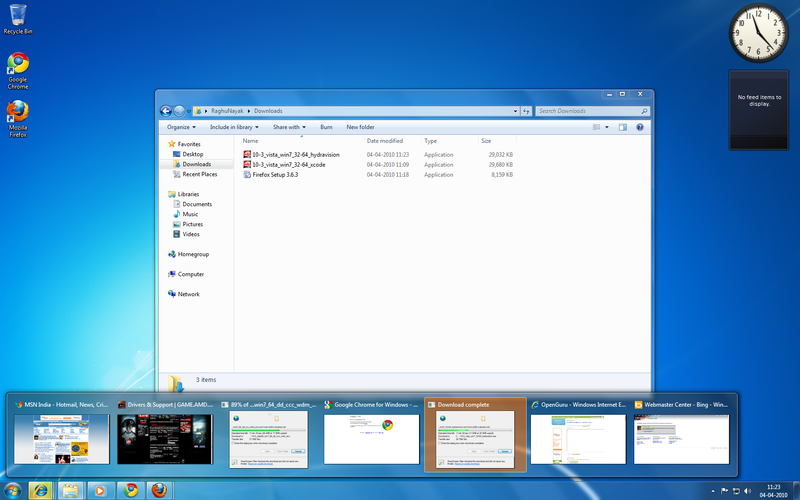 Below are the various screen-shots of Windows 7 in my System. Yours views are welcome. Use comments to express your views. Technorati tags: OpenGuru, Windows 7, Microsoft.